Back in the 1960’s, when pirate radio stations began, it didn’t take long for them to grow in popularity. The reason they came about was because the regulated stations were not providing all the choices in music that many wanted to hear, more specifically, that which appealed to the younger generation of that era. Originally, radio broadcasting could be done by anyone that had the means to do so. There were no rules or regulations. But that all changed when the Radio Act came into being in 1912, when amateur radio became regulated. It is believed that this act was instituted because of the Titanic sinking, with the speculation that radio had something to do with this mishap, yet there was nothing found to substantiate this. In 1960, a new radio station emerged which was a pirate radio station, meaning it was not regulated. It was called Radio Rock. It was intent on delivering the kind of music that the younger generation wanted and was not getting from the legal broadcasting entity which was the BBC. Radio Rock operated from an offshore boat, and eventually, because of its popularity, a movie was spun from it called The Boat That Rocked. Although Pirate radio stations are illegal, there are still many of them in existence today, and they are popular among many listeners. It doesn’t take a lot of money to get one of these set up, but the consequences of getting caught operating one can come with some stiff penalties. 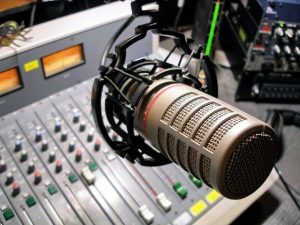 While music appears to be the main appeal for listeners of Pirate radio stations, they are sometimes used for political broadcasting. They are also used in cases where a disaster has hit a region, and regular broadcasting is no longer available. The biggest concern about Pirate broadcasting is that it can interfere with emergency broadcasting when this is necessary.